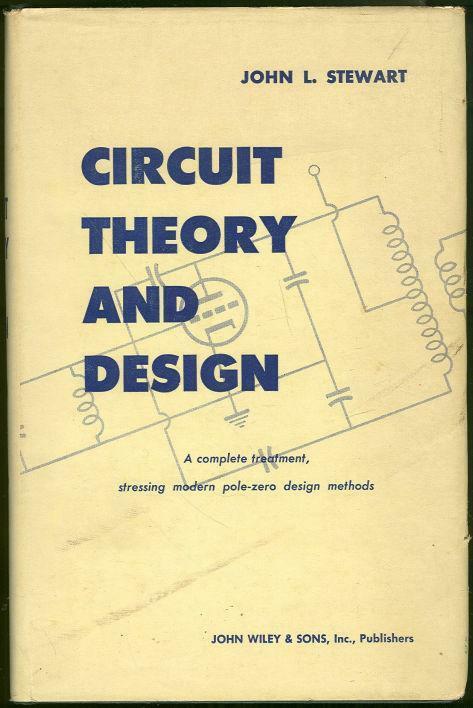 Circuit Theory and Design a Complete Treatment Stressing Modern Pole-Zero Design Methods by Jon Stewart. New York. John Wiley & Sons. 1956. First Edition. Hardcover. Very Good in Very Good dust jacket. DJ is worn and torn at edges. Black and White Illustrations. 480 pages. Items Similar To "Circuit Theory and Design a Complete Treatment by Jon Stewart 195..."